On the majority of p2p lending marketplaces that accept non-resident international investors, the necessary process to comply with ‘Know Your Customer’ (KYC) rules involves multiple manual steps both on the side of the investor and on the side of the marketplace. After filling in details in forms the investor typically needs to submit scans (or photos) of an ID or a passport. As an investor I balk at the very few marketplaces that ask me to submit these via unsecured email. The better ones offer an upload inside the SSL secured website after login. The British marketplace typically also require a recent utility bill to confirm address. In continental Europe a few marketplaces are doing video ident. Recently when I registered at Paskoluklubas, aside from entering details in forms I needed to schedule a Skype video call in which I answered several questions and had to show my ID live. While it was straightforward, it is not more time efficient (both for investor and for marketplace). And I was lost for words for a split second when asked for my zodiac. How many non-native-english speakers can answer that question without hesitating for the right word (luckily mine is easy to translate). So there may be a higher drop off in conversion than in the document upload version. I learned from Paskolulubas that they used video ident not to optimize the process but rather to fulfill Lithuanian regulation requirements: ‘In the end of last year in Lithuania … [a law was passed] which legalized digital identification …. There are just two legal methods to identify clients through digital technologies. The first one is to use special programs, applications or other measures to ensure that the photos execution process is continuous and that the photos transfer in non-real time would be impossible. The second one is video identification when [the] company directly could record customer and his ID document. We chose … [the latter] method because of the following reasons: a. easier control of quality with in house team and b. faster start’. So Paskolulubas uses inhouse staff to conduct the video ident process. 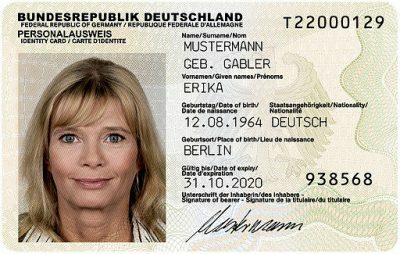 In Germany video ident is also an allowed method of identification. And it slowly replaces the traditional Postident process, a longtime German proprietary solution, since it avoids media discontinuity. But usually the video ident process, while integrated in the website is outsourced to a specialized service provider. Another example of outsoucing is the process Lenndy uses. When registering, all an investor is asked by Lenndy is his email address, nothing else. Then the investor is required to link an Paysera account with at least level 3. Either an existing one or a newly setup one. Paysera is a E-money institution with over 5 million customers. Lendy then imports the customer data, which have been verified by Paysera with the consent of the the customer. While this solution is elegant for Lenndy, Paysera receives mixed reviews by several German investors in p2p lending. But as the search for ‘Paysera’ in the last link shows, actually several p2p lending platforms use Paysera processes to some degree. All of the above still require mainly manual labor for checking, even if some of the work is outsourced. Last week British Relendex moved from a manual document upload process to an automated process for investors of 7 countries; Australia, Canada, Denmark, Germany, Sweden, Switzerland. Relendex uses the Call Validate solution and checks (in case of Germany) first , middle, last name, gender, phone, address, city and postal code with the data coming from three different data sources and which Relendex says has high match accuracy. Relendex’s criteria was that the data available should be of equal quality and accuracy to that of the UK database. Of course there are other solutions. I reached out to other companies for comment. But those who have automated are tight-lipped about details citing proprietary technology and competitive advantages. Marketplaces that also use automation are welcome to comment and add to this story.